USA Triathlon announced it will waive the $110 registration fee for the Age-Group Non-Draft Open Sprint Triathlon on Oct. 8 at the first annual Sarasota-Bradenton Triathlon Festival in an effort to give back to the Florida triathlon community. USA Triathlon, in conjunction with the Suncoast Aquatic Nature Center Associates (SANCA), suggest that participants donate to Hand in Hand’s Hurricane Relief Fund and support those directly impacted by hurricanes Irma and Harvey. 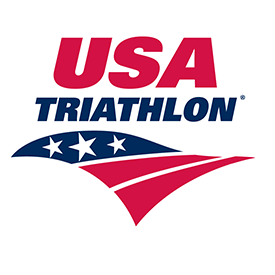 USA Triathlon invites the multisport community to participate in one of the nation’s largest triathlon festivals. The open race consists of a 750-meter swim, 18-kilometer bike and 5-kilometer run at Nathan Benderson Park and is ideal for all triathletes, from first-timers to experienced competitors. The free registration does not apply to the Age Group Draft-Legal Sprint Triathlon held on Oct. 7, which serves as an ITU World Championship qualifier. In addition to the open race and draft-legal world qualifier, collegiate and elite triathletes will compete in sprint- and standard-distance events throughout the two-day triathlon festival. The event weekend is headlined by the 2017 Sarasota ITU Triathlon World Cup, which features many of the world’s fastest elite triathletes competing head-to-head to share in a $60,000 prize purse. Registration is now open for the Age Group Non-Draft Open Sprint Triathlon. All registrants must be USA Triathlon annual members or purchase a one-day membership (online transaction fees may apply). USA Triathlon will contact all currently registered open sprint participants to either process their registration fee as a donation for hurricane relief efforts, if they so choose, or refund their $110 registration fee (online transaction fees cannot be refunded). For more information on the Sarasota-Bradenton Triathlon Festival and ITU World Cup, visit usatriathlon.org/2017sbtrifest. About SANCA: The Suncoast Aquatic Nature Center Inc. (SANCA) is a not-for-profit business created to manage Nathan Benderson Park, a community/public asset and world class, multi-use sports venue. Its mission is to improve the quality of life for our community and be an economic generator for the region. SANCA’s primary purpose is to develop and promote Nathan Benderson Park as a world-class event center, team training site and Sarasota County Park, while providing outreach programs through recreation, safety training, education and volunteering as a service to our community.